Our dream place for the summer is The Surf Lodge. Whatever the beach, we’d love to find it there to welcome us after a day of swimming and sunbathing. “Aloha! Music, sun, and summer fun all return to Montauk at The Surf Lodge”. We like to think that, during their escape, Susy and Sam (Moonrise Kingdom) would have stopped at Basecamp Hotel on lake Taohe and slept at least one night in the comfort of a bed. This welcoming and strategic camp-lodge is ideal for romantic boy-scouts (and aspiring). Liz is a talented and visionary hotelier who’s bet on her land, Texas. After a few years in NY where she worked as a lawyer for the Manhattan District Attorney Office, she opened four hotels (El Cosmico, San Jose Hotel, Hotel Havana, Hotel Saint Cecilia) that are praised by magazines, prestigious websites and hipsters around the world because of their hippy-vintage-pop-metropolitan atmosphere. Samin’s life has been molded by skillfull teachers beginning with her mother, grandmothers and aunts who made a home for her in the Persian kitchen. Her culinary philosophy has been shaped by the Chez Panisse family. She brings a sense of humour and joy with her into the kitchen, where she cooks simple, honest food rooted in tradition and seasonality. “I cook. I write. I teach. And I love: horizontal stripes, liberty prints, semi-hard basque sheepsmilk cheeses, and trying to find the good in everything”. Reconnect to the land and the origins of food is a modern fashion that we love to follow. We grew up in the countryside and whenever we’re invited to get back, we quickly throw on light cotton clothes and we go. 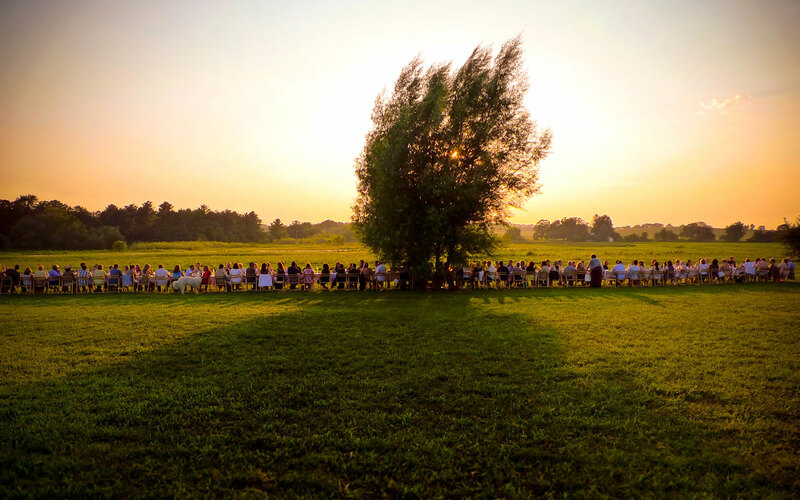 Outstanding in the Field is a roving culinary adventure, a restaurant with no walls, just a very long table where to sit together to celebrate nature and the good work of those who bring nourishment, with your feet touching the earth. Toronto native Chuck has always been in and around the world of food. From dishwasher, to line cook, and even caterer, there isn’t a job in this industry he hasn’t had. His love for the food industry led him to want to document it for people on the outside looking in. He started Acquired Taste Magazine in hopes to change food journalism and to bring more attention to the individuals that make the industry what it is. After graduating in Philosophy, her life took an unexpected twist: an internship at Vogue Italy in Paris, an assistant role between Old and New World and finally the creation of Confezioni Crosby, a fashion brand that combines traditional Italian manufacture and essential American work-wear. Benedetta lives and works in NY, together with her husband Jonathan Joory. Holly, photographer. “I make large-scale, color photographs that address how disconnected we are from the natural world, and express my longing to be more connected through fantasies where a balance has been struck. Sometimes, I respond spontaneously to an event. Other times, I recreate one.” Recently, she left New York for Massachusetts farm country.